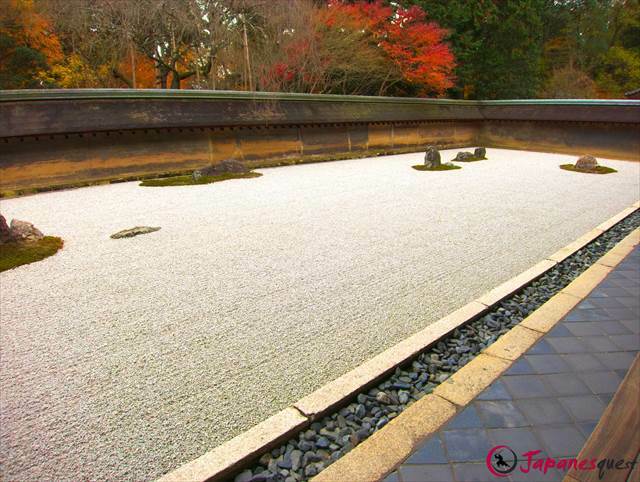 Ryoan-ji is a Zen temple located in northwest Kyoto, founded in 1450. 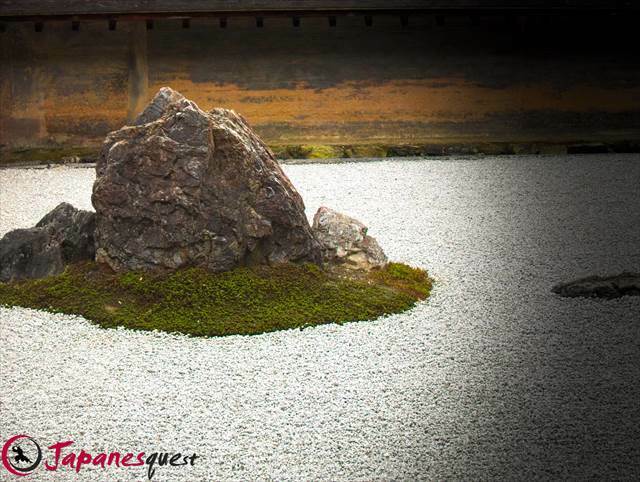 The temple has a famous garden which is considered to be the best example of Karesansui— Japanese rock garden. 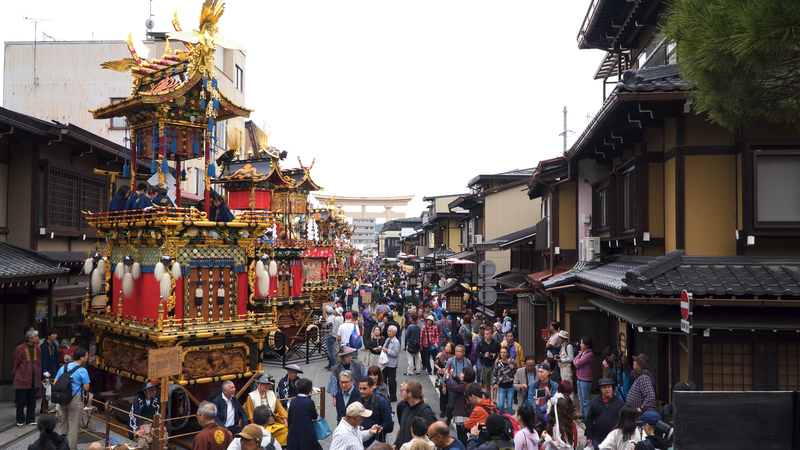 The temple and gardens are listed as a UNESCO World Heritage Site. 1. 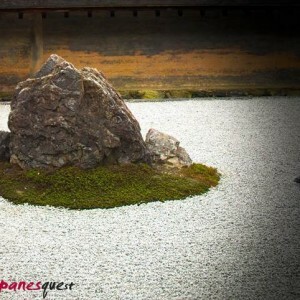 The Japanese rock garden and the fifteen stones. 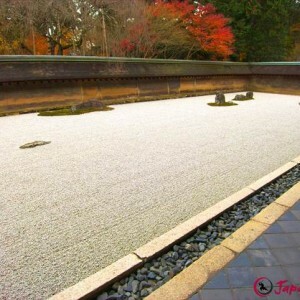 There are fifteen stones placed in the temple’s rock garden. The stones look randomly placed at a glance, but they are actually arranged carefully so that when you look at the garden from any angle, you can only see fourteen or fewer stones at any one time. It is traditionally said that in order to see all the stones at one time, you would need to attain enlightenment. 2. 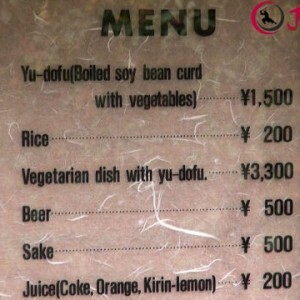 Ponder the meaning of the garden. 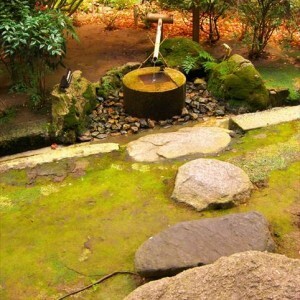 Despite its fame… the meaning of the garden has been unclear. 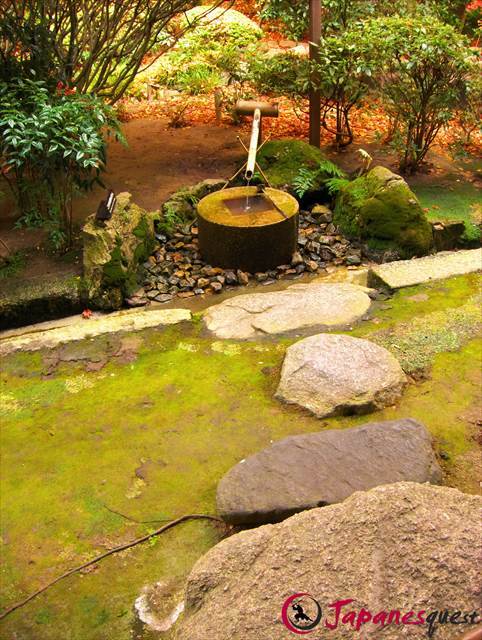 Some say that the garden represents a tiger carrying children across a pond. 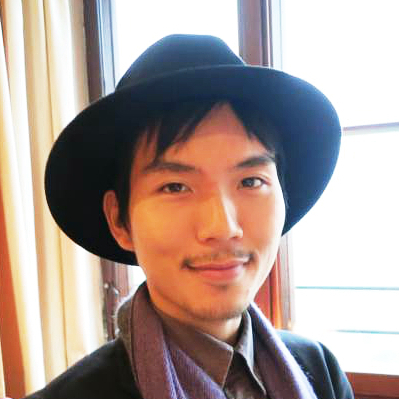 Others believe that it is an abstract concept like “natural” or “infinity”. The most popular interpretation nowadays is that it is up to viewers to ponder and find meaning for themselves. 3. A basin and its inscribed phrase. 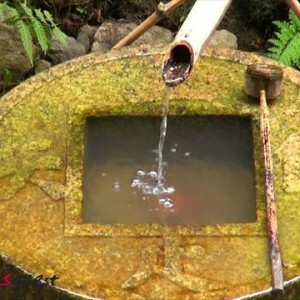 If you are a Kanji learner, you will appreciate this little basin. 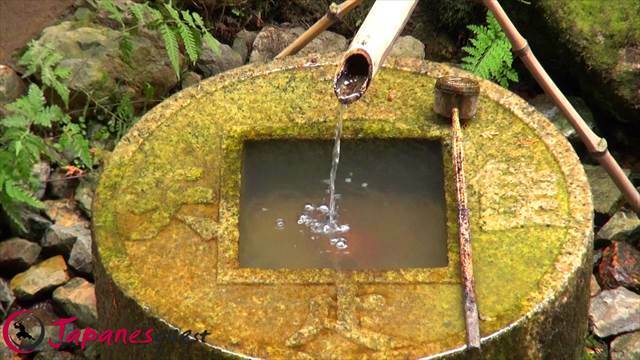 There are four characters of Kanji written on the surface of the basin, “五 隹 止 矢”. It does not make any sense when you read alone, but when you combine each Kanji with the square in the center “口”, it suddenly can be read as one phrase “吾 唯 足 知 (ware, tada taruwo shiru)”, which is translated as “I know what I have is all I need”. This inscribed phrase represents the anti-materialistic teachings of Buddhism. 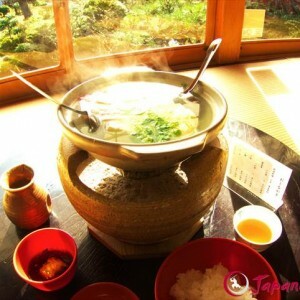 Ryoanji temple also offers an exquisite restaurant that specializes in Yudofu (Boiled Tofu). 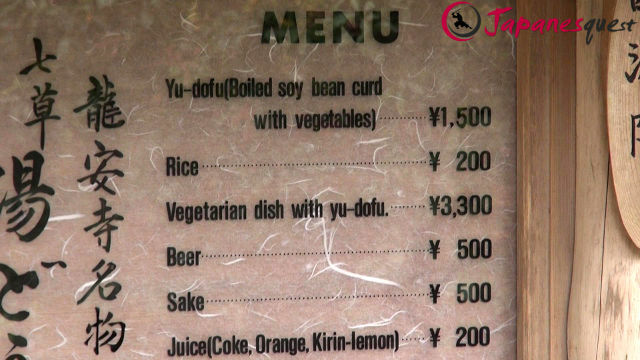 The food is served in a spacious tatami room. 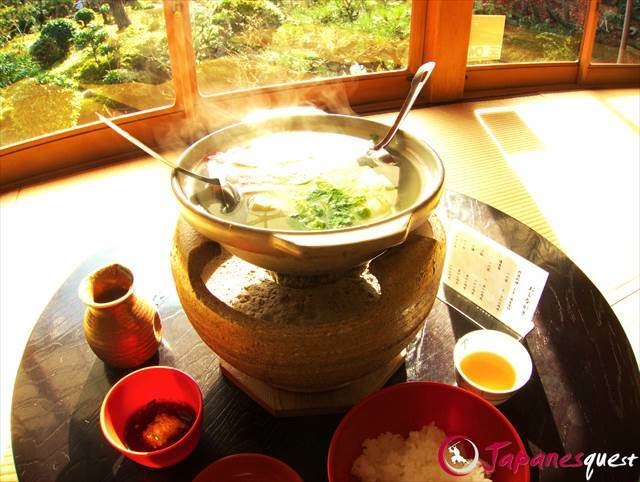 You can enjoy this typical Buddhist cuisine while appreciating a traditional Japanese garden right in front of you.